The first step is to download the Zurmo installation package from the official Zurmo website. Choose the latest stable version and download the .zip archive file to your computer. Next you should upload the .zip archive file to a folder in your hosting account using FTP. After that just extract the archive into the folder you would like your Zurmo CRM to open from. *Note: Make sure there is a domain or subdomain (eg. mydomain.com; zurmo.mydomain.com) pointed to that folder, unless you desire to open it through a subfolder. Also make sure that the files are extracted in the folder you desire to and not some subfolder (eg. 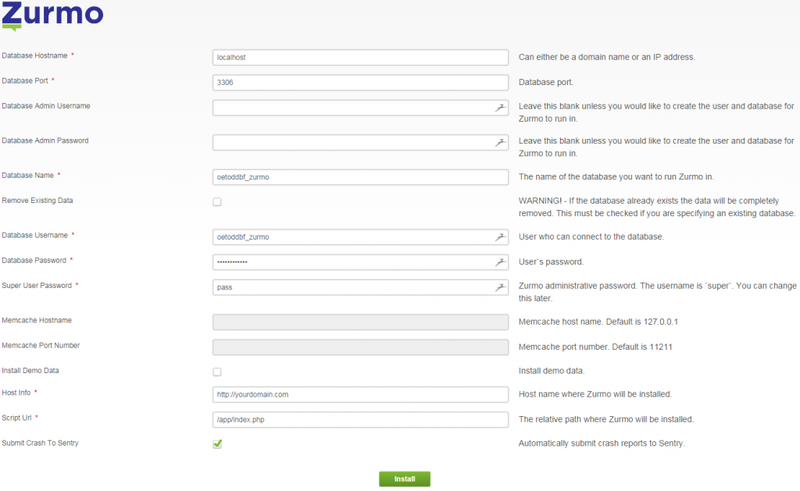 zurmo) as that will make your CRM open through that subfolder (eg. mydomain.com/zurmo). Create a database and a database user with all privileges using phpmyadmin. 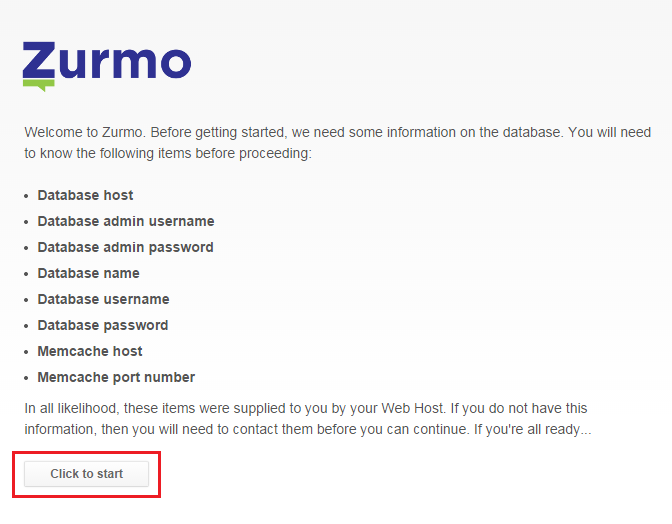 Open the domain or subdomain you have uploaded the Zurmo installation package to in a browser. You can look through the Welcome screen but don’t worry you won’t need all the things specified there to complete the installation. Just click on Click to start. The installer will check the system against the Zurmo installation requirements. BIP media servers are configured to run Zurmo without a glitch but there are some optional services which might give you FAIL or WARNING. 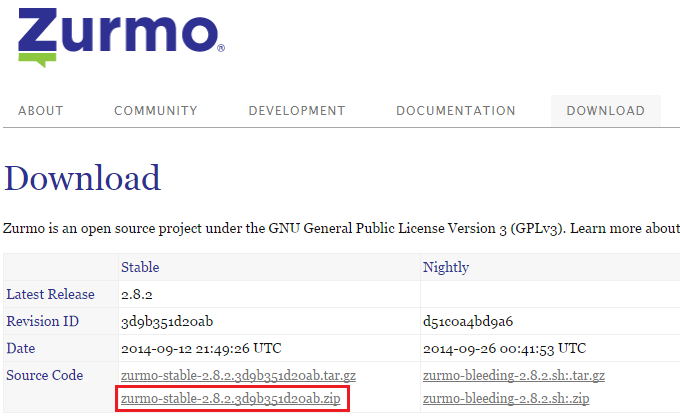 Apache version 2.2.1 is the minimum required version even though Zurmo can’t detect it. The other PHP extensions really are optional and are not required for your Zurmo CRM to run properly. You can however, enable them as well as change your PHP version. When you are done and have enabled the PHP extensions you desire from the optional ones, you can recheck the system and see if everything is as you desire and continue to install Zurmo manually. Next, enter the database information we created earlier. You should also enter your super user password. "Remove Existing Data" should be ticked since we will be modifying an existing database. If you've enabled the memcache PHP extension, you will have to contact us so we can supply you with the Memcache Hostname and Port Number for your server. Anything else is either optional or pre-entered for you. Next press Install. 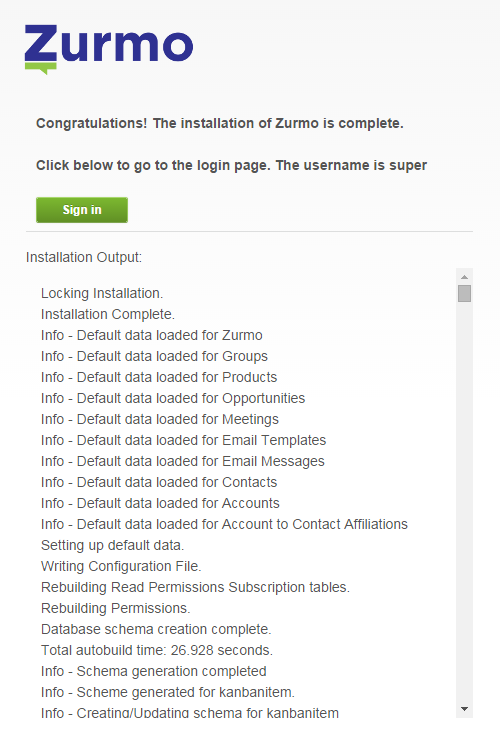 The installer will start the process and give you a Sign in link to log into your new Zurmo CRM installation. That concludes this tutorial on how to install Surmo CRM. Feel free to contact us with any questions you might be having or to install Zurmo manually for you. We’ll be more than happy to do so.